With the help of our competent team, we are involved in offering an extensive range of Calcined Magnesite. These are produced by sintering raw magnesite shaft kiln at a controlled temperature of 1100 degree centigrade by using furnace oil. We offer to our clients superior quality Magnesite Powder. Due to high quality and durability these Magnesite Powder are famous among its user. These products are available in market at most economical rates. Our products are highly appreciated by our clients in the market. Lightly Calcined Magnesite is produced by sintering raw magnesite Shaft Kiln at a controlled temperature 1100 degree centigrade by using furnace oil. The Lightly Calcined Magnesite is chemically reactive material. 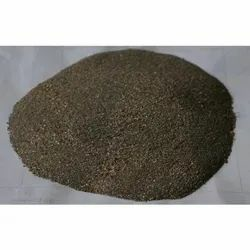 Enriched by our vast industrial experience in this business, we are involved in offering an enormous quality range of Dead Burnt Magnesite Powder. The Magnesite Powder that we offer has 85% purity, due to which it is highly acknowledged by the clients across the Indian Subcontinent. Formulated from quality raw material it is highly reliable in nature. Further, is checked on various quality parameters before final dispatch. 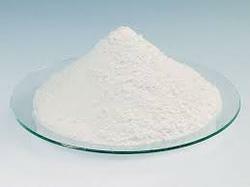 This Magnesite Powder is offered at highly reasonable prices. Similar to the production of lime, magnesite can be burned in the presence of charcoal to produce MgO, which, in the form of a mineral, is known as periclase. Large quantities of magnesite are burnt to make magnesium oxide: an important refractory material used as a lining in blast furnaces, kilns and incinerators.